Jane Dunnewold’s World of Digital Alchemy + Win Her Fabric Design DVD! 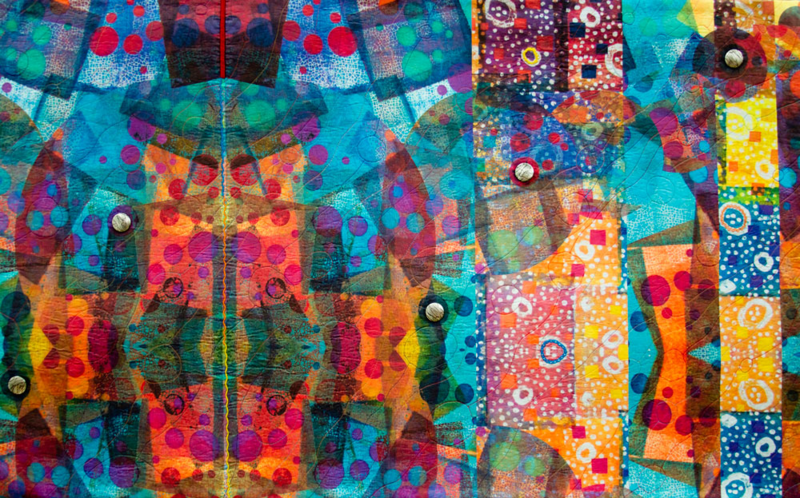 International Quilt Festival is coming up later this month, and we are excited to be sponsoring Jane Dunnewold's juried Digital Alchemy exhibition, a collection of quilts featuring digitally printed fabric designs. 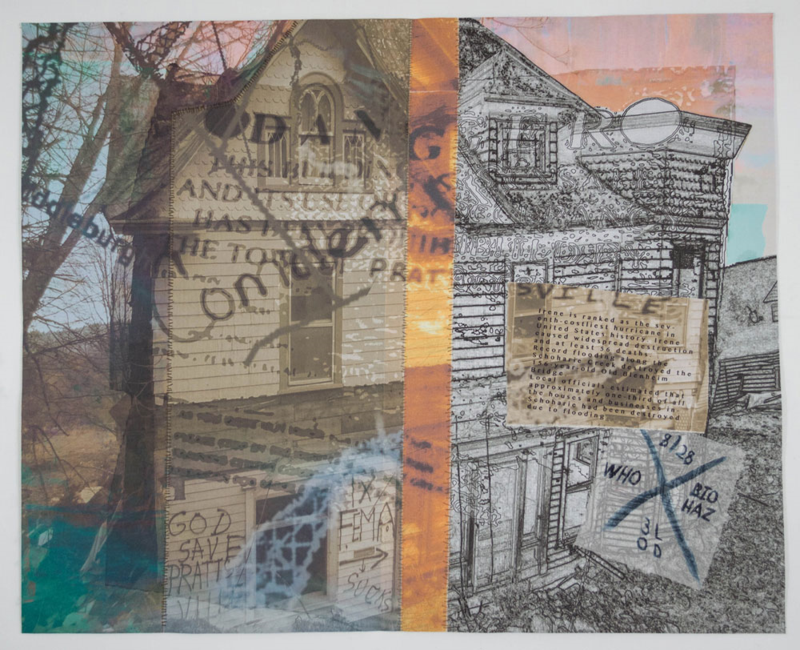 Jane's innovative work has forever inspired us, and we are delighted to catch up with Jane to learn more about her process in curating this show. To celebrate her creative journey, we're hoping to inspire other by giving away a copy of Jane's Design & Print Your Own Fabric!, an instructional DVD to get you started with fabric design! 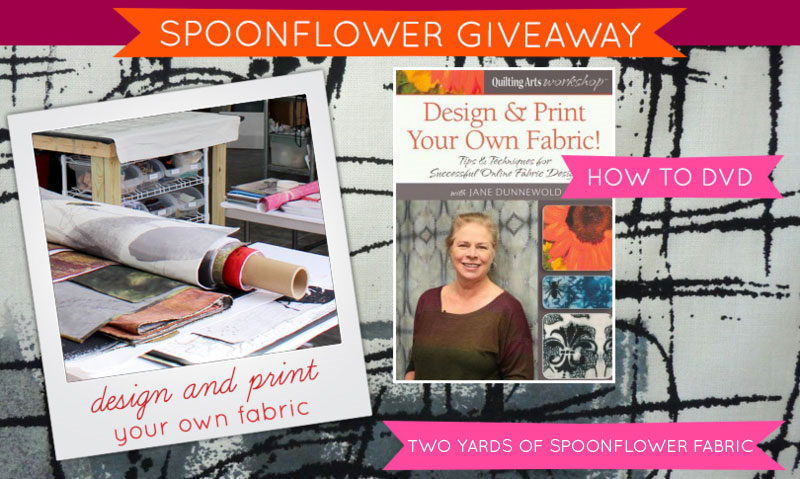 We'll even throw in 2 yards of Spoonflower fabric for one lucky winner. So go ahead and enter, and read on for a sneak preview of the Digital Alchemy exhibit. 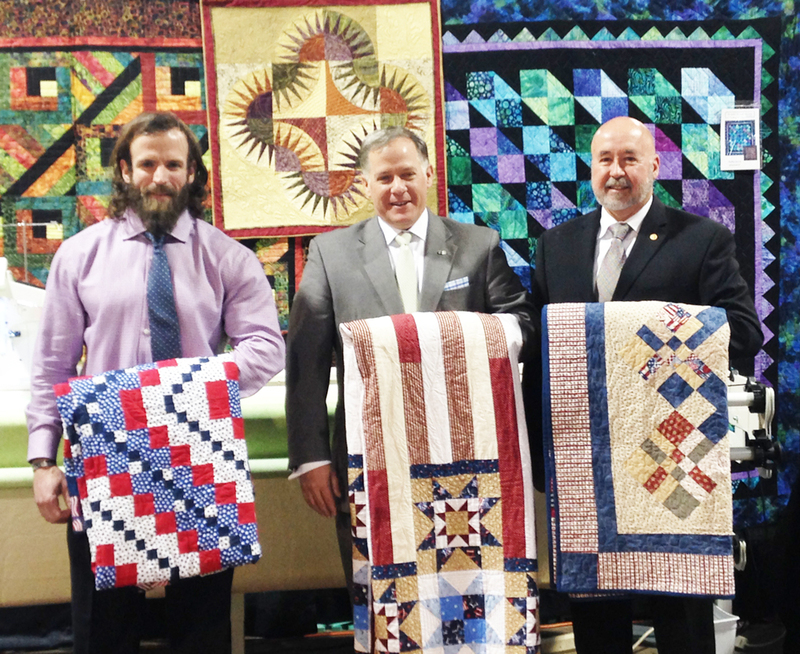 Once you've entered for you chance to win, read on and take a peek at a few of the amazing quilts on display at this year's Digital Alchemy exhibition! Please tell us a bit about Digital Alchemy and how the show came to be? What inspired you to create this collection? JANE: Digital Alchemy evolved because of my own interest in designing fabrics for printing by Spoonflower. I teach workshops where fifteen or more people are on their computers designing fabric from artwork and photographs. Some of the results are so magical I began to think of them as alchemically transformed! By that I mean, the changes that happen because of the tools available to us through the computer and also through the various programs aren’t changes we can automatically envision – they occur right before our eyes…and although they are logical, they seem magical! Anna Mae Gazo's "Dyeing Without Water" is printed on Spoonflower's Organic Cotton Sateen and quilted with perle cotton embroidery thread. [Read more…] about Jane Dunnewold’s World of Digital Alchemy + Win Her Fabric Design DVD!